Sounds of the Rockies - Personal, Professional...Trusted. SOUNDS OF THE ROCKIES is our DJ and Entertainment Division to Colorado Event Productions. 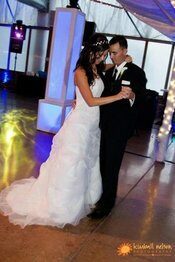 Sounds of the Rockies offers professional mobile Disc Jockey (DJ) Entertainment and Emcee (MC) Services. We provide music and entertainment services for every event type and provides fun for every age group! When you pair services with Colorado Event Productions (or any of our companies), you can be confident that we offer only reputable, trusted DJs for your event! Sounds of the Rockies has been proudly serving the state of Colorado since 1995 and is also the parent (original) company of Colorado Event Productions! Wedding DJ + Holiday Parties + Corporate Functions + School Dances + Fundraisers + Picnics + Pool Parties + Theme Parties + Birthday Parties + Private Parties or any Special Event! Please visit SoundsoftheRockies.com for more information! Please visit SoundsoftheRockies.com for more detailed information! ANYWHERE THE PARTY IS OR NEEDS TO BE!